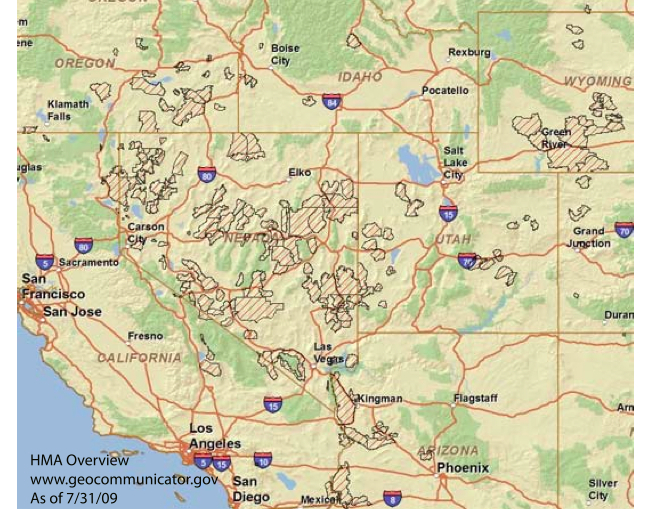 Bureau of Land Management (BLM) manages more land than any other federal agency. The manage more than 242 million acres under BLM management. BLM manages public land under a “multiple use” principle for the American “good.” BLM leases public land to private interests that include energy production, mineral mining and livestock production. On BLM administered land wild horses and burros on 26.9 million acres (although many of the acres managed for horses and burros have no horses or burros on them). In 1959 Public Law 86-234 was enacted. 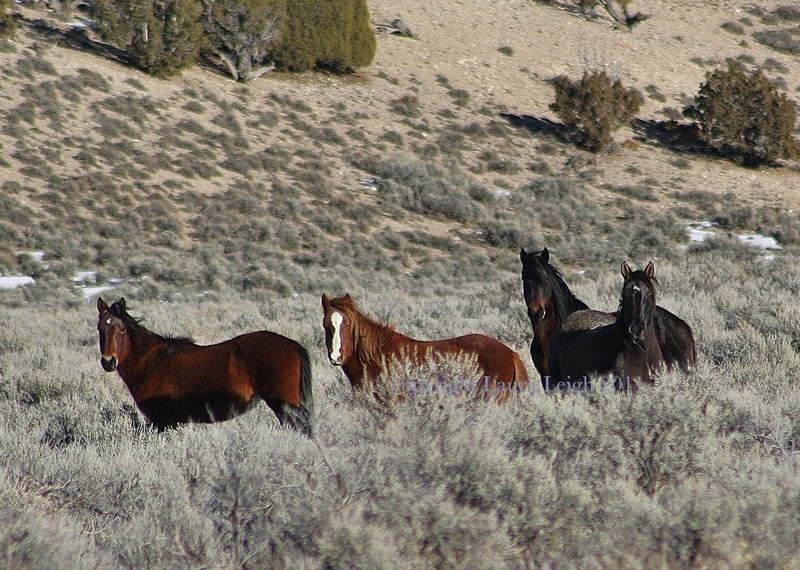 This law prohibited the use of motorized vehicles in the capture of wild horses and the poisoning of water holes to to kill them. This law, was the first law enacted to protect wild horses and was known as “The Wild Horse Annie law.” The law wan named after wild horse advocacy pioneer Velma Johnston. However in practice there was little enforcement. The work of advocates of the day, including Velma Johnston, was not finished. In 1971 legislation was passed by both Houses of Congress, and then signed into law that December by President Nixon, to protect wild horses and burros on public land. The Wild Free Roaming Horse and Burro Act was created specifically to protect wild herds that were “fast disappearing” from our public lands through the brutal practice of “Mustanging,” that sent thousands and thousands of wild horses and burros to kill after being brutally captured. Congress gave jurisdiction of management of wild herds of horses and burros to the Secretaries of Interior and Agriculture. The BLM becoming the largest entity in history to manage wild horses on BLM land and in “conjunction” with the Department of Agriculture on Forest Service Land. Excerpt of section “Brief history…” in the first report to Congress of 1974. Even after passage of the Act enforcement was an issue. How many wild horses and burros? Often you will hear that at one time there were about two million wild horses roaming free in the United States. Many that currently advocate against wild equid herds on public land will say that there is no evidence to support that claim. However the BLM themselves made that claim in it’s first report to Congress. However in 1971, when the Act was passed, Congress found that wild horses and burros were fast disappearing from the American West and required protection. That is why this recommendation, adopted, is confusing. How is it possible to utilize a population found “fast disappearing” as the “allowable” number of managed animals? This next excerpt hints at the conflicts occurring with the livestock interests that were operating private business on public land. However this number was to be an “interim” guide until appropriate was clearly defined. Again a population is estimated in that report when discussing the potential cost of removals. Discussion of population numbers in 1974 on potential costs of removals. The cost of the bait trap operation at the Pryors done in 1973 was $800-$1000. per animal. As the Act only covered BLM and Forest Service land the issues of multiple laws and jurisdictions, and the problem it could create was foreseen. It was suggested at that time that the Act be broadened to cover all wild horses and burros on public land. But that suggestion was fought by other agencies that did not want to manage equid populations. Since 1974 a lot has changed on public land. Back when the wild horse and burros Act was passed livestock grazing, other wildlife and a few mining projects were the competitors for public resource. Today we have entered into an era that in 2008 was called the “industrialization of public land,” by then Secretary of the Interior Ken Salazar. We have more fast tracked projects on public land that include massive solar, geo thermal, mineral extraction and of course, oil and natural gas (including fracking). The public lands picture has changed forever. BLM currently makes this statement about the number of animals it manages on the range: “The Bureau of Land Management estimates that approximately 37,300 wild horses and burros (about 31,500 horses and 5,800 burros) are roaming on BLM-managed rangelands in 10 Western states, based on the latest data available, compiled as of February 29, 2012.” Currently BLM has close to 50,000 animals in short and long term holding facilities. 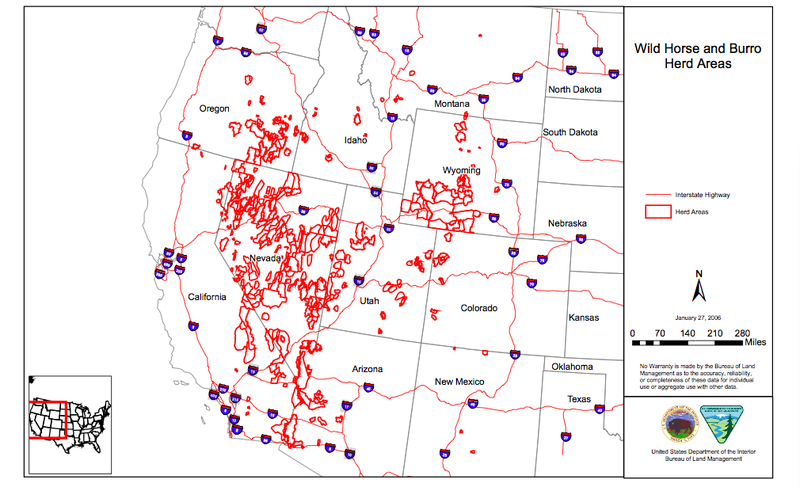 Most wild horse and burro advocacy groups that have done their own estimations of populations agree that the number is around 20,000-25,000 animals in total left on BLM lands. In the last three years alone BLM has removed close to 10,000 animals each year. Even though BLM claims not to sell wild horses and burros to slaughter a provision passed in 2003 (that became law in 2004) allows BLM to sell wild horses and burros. A recent investigation, done in part by Wild Horse Education, revealed over 1,700 horses gone to a known kill-buyer. 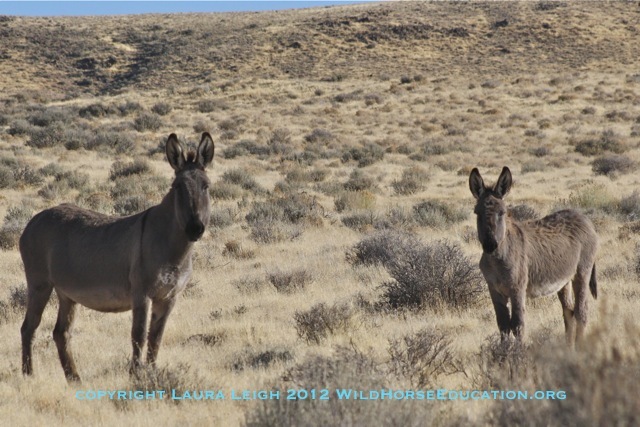 Today wild horse and burro advocates work to engage many aspects of the “broken program” managed by the BLM. We now have more wild horses in captivity than exist on the range. We still have no enforceable humane care policy. We have wild horses landing in the slaughter pipeline. We have a clear lack of data and decisions being made based on the needs of special interests, not science. We have a program that has used removals as an answer to “management” instead of creating a sustainable plan. We are losing herds due to management decisions that favor private profits and of those that remain more than 70% are managed with concern to genetic viability.